At its core, The Sound of Music is about the power of song: its power to overcome sadness, fear, and loneliness, and its ability to bring joy into our lives. Therein lies its universal appeal and longtime popularity. Maria Rainer (Jill-Christine Wiley) embodies this power as she is sent from Nonnberg Abbey to be a governess to seven children at the strict von Trapp household. Amidst tensions between Germany and Austria and the threat of German invasion, Captain Georg von Trapp (Mike McLean), a naval officer, attempts to maintain strict order in his home. Von Trapp doesn’t support the Third Reich, but he must play along or risk endangering his family. This political narrative is secondary, however, to the catchy songs and uplifting story of personal discovery. The mountains outside the von Trapp home are a prominent character. Maria who has grown up in these mountains declares, “the hills are alive with the sound of music” in one of the well-known numbers, and elsewhere they serve as a metaphor for obstacles to be overcome. The hills also provide refuge and escape for Maria and the von Trapps as they flee from the Germans. As Maria sings songs like “My Favorite Things,” she demonstrates the power of music to bring positive change, uplift spirits, and bring a family together. This is probably the most infectious song of the show and I was glad to hear it reprised multiple times. Captain von Trapp has forbidden singing in his household since his wife passed away and is so strict that he uses a whistle to call his children. Maria teaches him to embrace it once again and become more involved with his children. The highlight of this production was all the songs involving the children, including Maria teaching them “Do-Re-Mi,” and singing “So Long, Farewell” before they went to bed. They had beautiful vocal harmonies and they were pretty darn cute, especially the youngest, Gretl (Madeleine Guilbot). Another notable scene was in Maria’s bedroom as she taught the children a yodeling song to overcome their fear of the thunder. 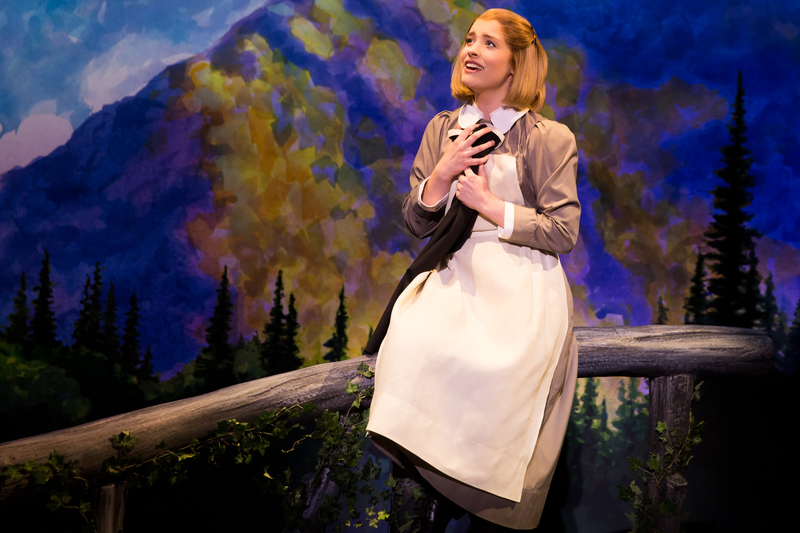 In the end, this timeless story is about discovering the life you’re meant to lead, and Maria realizes that she belongs with the von Trapps. The von Trapp Family Singers treated us to a few tunes before fleeing into the night and leaving us to think about the power of song.